I've been making my own body whips for the best part of this year, which I've enjoyed having the pleasure of making something satisfying for the skin but also that I know exactly what's in it and how natural it is, gives me comfort. I'm familiar with this type of product & Nature Whip kindly sent me a hair and body whip. It has shea butter in which for me is one of the core ingredients for my at home whips and I've used another hair butter with shea butter as an ingredient but when making my own - never use it for my hair. Not entirely sure why not. This product is so natural it's multi-functional and can be applied anywhere. On straight hair it'll help control frizz, afro hair types it'll help to maintain shine & softness while enhancing manageability. Plus it smells insatiable. 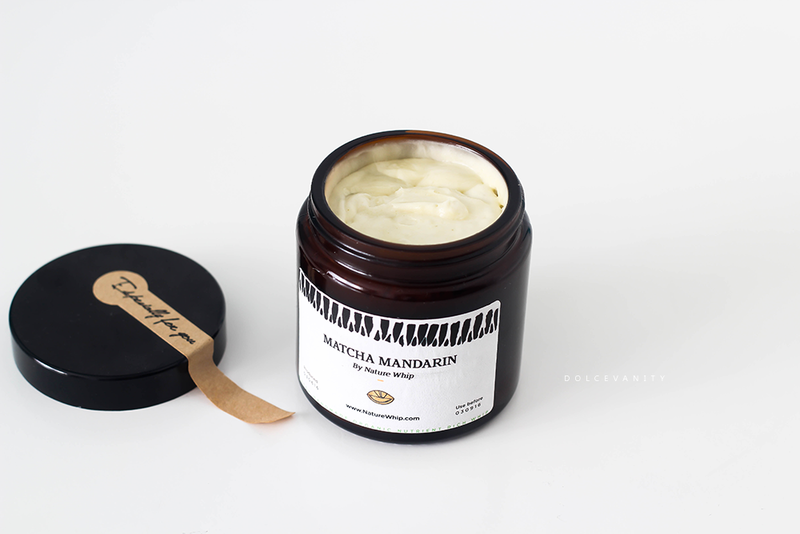 INGREDIENTS: Shea butter (Butyrospermum Parkii), Coconut oil (Cocos Nucifera), Rosehip oil (Rosa Moschata), Vitamin E (Tocopherol), Mandarin (Citrus reticulata), Matcha Green Tea (Camellia sinensis), Lemon (Citrus Medica Limonum), Grapefruit (Citrus Paradisi). What immediately took my eye was the Matcha, which in the last year or so has become a cult like tea. I've put green tea in hair products before so seeing a different wing of green tea for the hair & body included is a nice alternative. Being rich in antioxidants it helps to remove harmful toxins & remove free radicals. This free radicals cause cells to degenerate, causing aging. 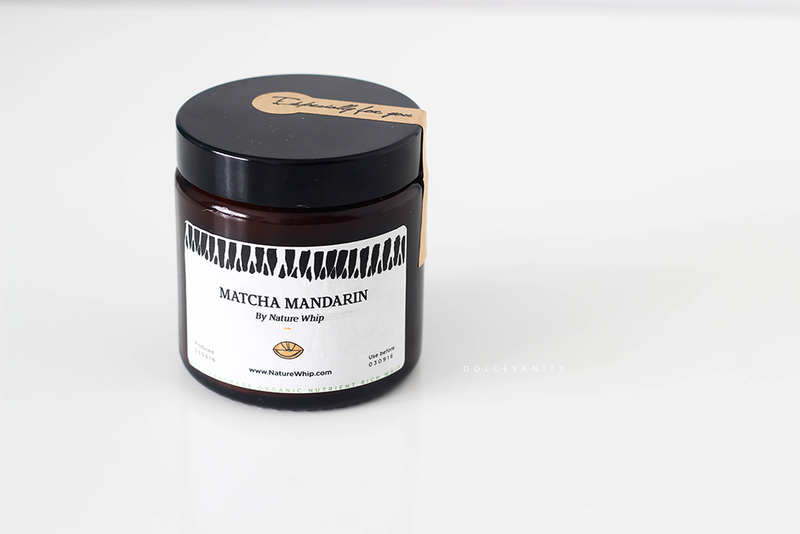 Matcha can improve acne by slowing down the production of sebum and also stimulates and rejuvenates skin cell growth. It contains Vitamin B helping your hair to become stronger and encourage hair growth. I was using the L.O.C (leave-in, oil, cream) method for my hair but I started to notice my hair would dry out daily no matter what I did with it. I've since gone back to what I was doing before L.C.O method instead which I find works a lot better. My hair needs to be sealed with an oil - simple as. This melts & absorbs easily into my hair strands, wet or dry. I scoop it out using my nail bed and that's all I will begin to add to my sections so I can control how much product it's in my hair. I can use this daily, if needed but it's on a rare occasion seeing as I don't have to moisturise my entire head daily but more so every other day. My ends always need more and that's where the coconut oil comes into it. Butter and oil for my hair is a good combination. What I might do is if I find my ends need a bit more I'll apply the better and then the coconut oil - revival. It has been used on my body, giving a healthy sheen, hydration and suppleness which I love. Whipped butters and oils I adore but a couple of samples I was also sent was the Lavender Luxe. Very high in lavender scent - instantly relaxing & calming. I've been using this for my face lately. I used this on my face and it took down some redness I had, the texture is a cross of butter and serum, skin soaks it up, it's lovely to put on before bed and I'm probably sure before applying makeup to soothe any irritation. INGREDIENTS: Shea butter (Butyrospermum Parkii), Coconut oil (Cocos Nucifera), Rosehip oil (Rosa Moschata), Vitamin E (Tocopherol), Lavender (Lavandula Angustifolia), Matcha Green Tea (Camellia sinensis). Do you like the sound of multi-functional products? I had no idea body whip even existed! I like the idea of using it as a hair moisturiser. Thanks LaaLaa for this amazing and honest review. Really pleased that you dig my products and shared your thoughts. Thanks all for your comments and interest!